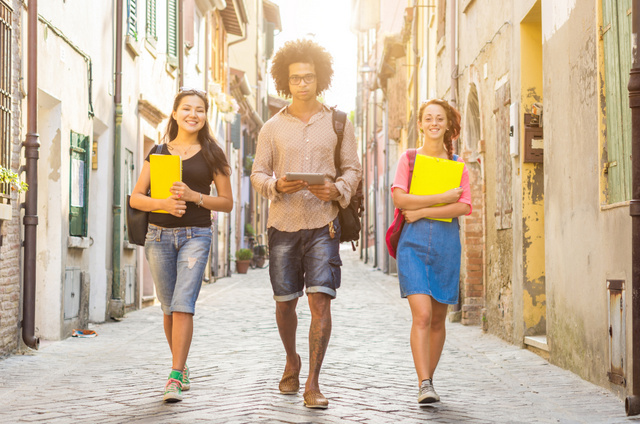 Erasmus+, the new iteration of the Erasmus student mobility program, was launched in 2014 and aimed to provide mobility support for more than four million people in education, training, youth, and sport. And, according to the most recent report detailing the program's activities in 2014, Erasmus+ is even better than expected. Here's what Erasmus+ did for students and educators in 2014. First, the program provided at least 650,000 mobility grants during 2014 and the majority of the program's €2billion budget going to new mobility activities. More than half of the mobility grants were used for student exchanges, but 100,000 were earmarked for volunteering, and work opportunities and an additional 150,000 went towards career development initiatives. Erasmus+ also worked to establish new Joint Masters and Doctoral programs, including eleven new programs in non-EU countries. This was in addition to the 1700 new collaborative projects, or alliances. The new Erasmus+ program has also been working to support students from disadvantaged backgrounds. In January, we reported that the program was unveiling a new loan scheme, but the program is already providing additional support for more than 60,000 participants. 2014 also marked the beginning of Erasmus funding for sports programs, with at least €20million going towards non-profit sports events and programs. Elizabeth Koprowski is an American writer and travel historian. She has worked in the higher education system with international students both in Europe and in the USA.